The World’s Darts trophy is well known among millions of fans of the PDC World’s Darts championship. 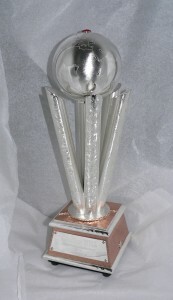 Its intricate design and innovate features allow it to stand out from previous trophies and Mike Shorer (Mike Shorer Fine Jewellery www.mikeshorerjewellery.com), creator of the World’s Darts trophy decided Excell Metal Spinning Ltd. 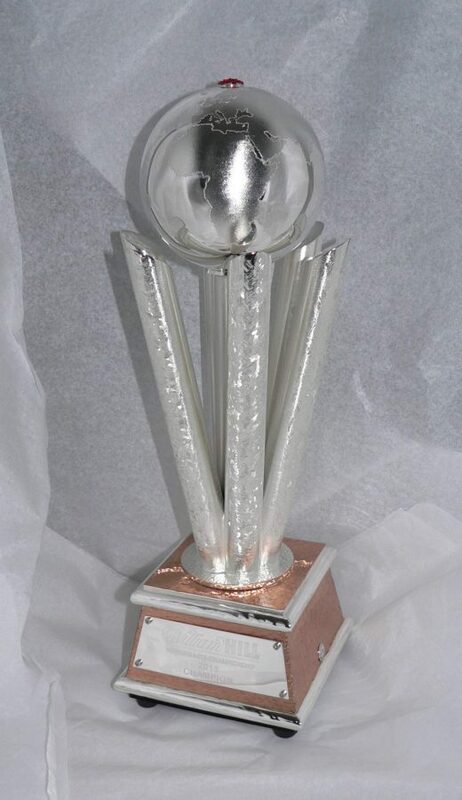 Provided the best standard of quality and service in order to create the Globe piece from the design, produced by Mike, that would be mounted onto the trophy itself. Mike approached us here at Excell through the phone and discussed the requirements with our friendly and helpful team. The Globe had to be produced out of silver with a 160mm O/D circle to create the 4 ½ inch diameter hemispheres. The Globe would be at first in two halves, which would later be welded by Mike Shorer himself to finalise the design. This all had to be completed within three weeks from when the order was made. Excell uncovered a few problems such as the depth of the hemispheres had to be a specific measurement in order to get the perfect sphere when welded to together. However the problems were of minor incidence and required only a few small tweaks to our processes in order to meet the quality and customer satisfaction we here at Excell Metal Spinning Ltd. Pride ourselves in. Overall, the project was completed with the correct specification and within the three week deadline. The thickness was important to the hemispheres due to the fact they had to be welded together. Any thinning out of material would result in possibly blowing holes into the weld. 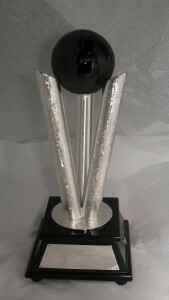 Mike Shorer was pleased with the outcome and the globe piece was mounted onto the darts trophy which was then used within the PDC World Darts championship which was too featured on the television.